Vacations are almost the most important part of the year when after a tiring and stressful period people want to find a beautiful place to enjoy some moments of relaxation with their loved ones. One of the favorite destinations to spend wonderful time is Lake Garda. 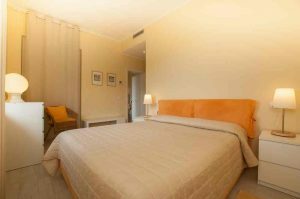 Residenza leLoggo is one of the most reputable places in the region where you can find modern, comfortable rooms with air conditioner for rent in Lago di Garda. Our environment is quite relaxing, family, and inviting. If you want to enjoy some special moments in a structure surrounded by the green nature, immersed in olive groves – welcome to our residence. We have several rooms available which are equipped with all the necessary facilities to make your holiday more comfortable and enjoyable. Whether you are traveling with friends or family, we can offer you the most appropriate solution according to your specific needs and requirements. Our rooms are spacious, with light, and amazing views. They have bathrooms, showers, small kitchens, and living room. 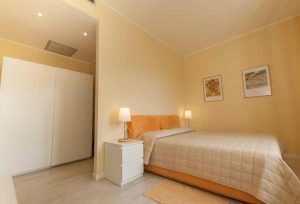 Beds are very comfortable and of a high quality, allowing you to spend a nice and quiet holiday. In addition to the wonderful conditions and the elegant ambiance, what makes our residence special is our excellent service to our guests. Don’t waste your time to come and spend the best holidays of your life, and live an unforgettable experience.